Project 365: I <3 Rock of Ages! (Day 175) | Viva La Vida! My first musical of the year! Watched it with my friend Sitti on this now sold-out show! 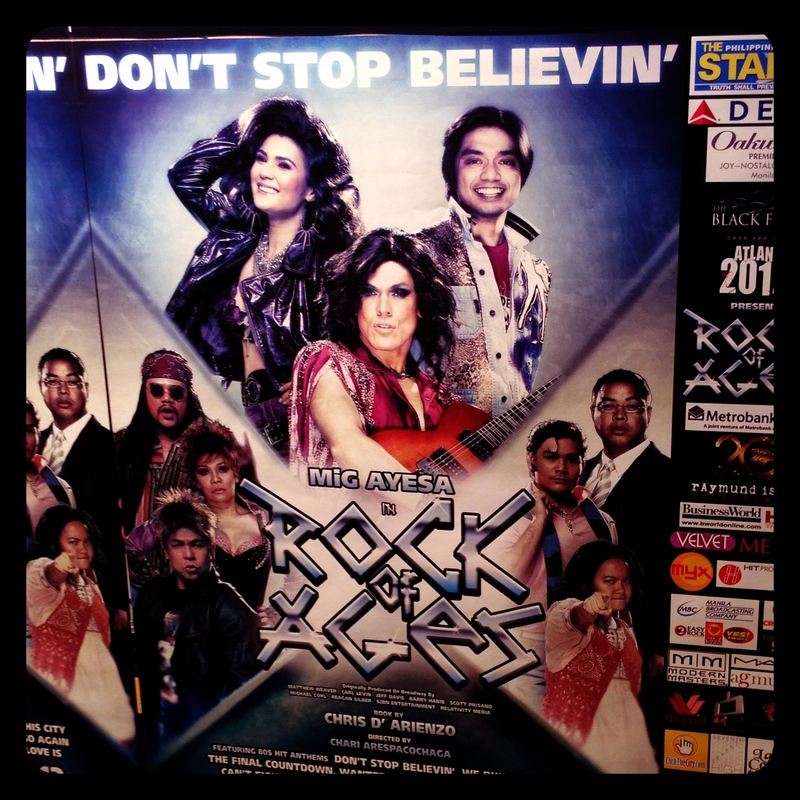 Starring top Filipino musical celebrities such as MiG Ayesa, Vina Morales and Nyoy Volante. This entry was posted in Concert Scene, Music, Project 365 and tagged music, project 365, Rock of Ages, theatre by Roxanne Calingo. Bookmark the permalink.